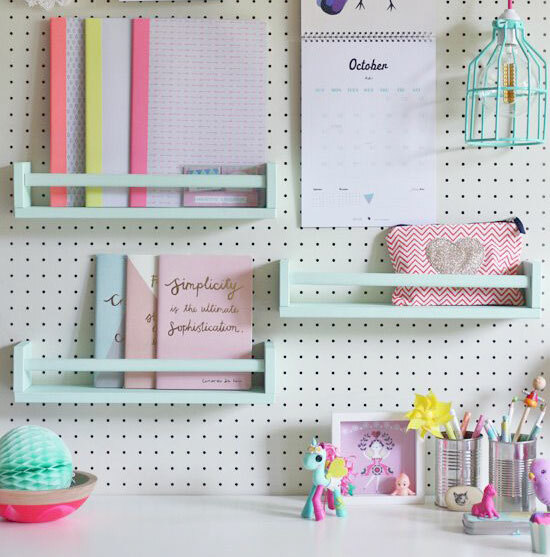 Pegboards, where have you been all my life? In the past if you had mentioned pegboards to me, I would have just associated pegboards to a garage organizers for power tools and supplies. I never saw them as something I would want to put in a home or consider it aesthetically appealing. Fast forward to now … I love them! I wish I could plaster all my walls with them. Why the change of mind? I was too close minded when I was younger to see the endless possibilities. 1. They work to optimize any space. 2. Extremely versatile. You can customize it for your exact needs. 3. Aesthetically pleasing. When done correctly, they can make a great design element to your space. Below are a collection of examples that have inspired me. I hope they inspire you as well. Read to the bottom for links to products to start creating your very own pegboard too! Painting this pegboard brings it to another level! The pop of green becomes a highlight to this space and by adding the frame – it creates a very finished elegant piece. Wouldn’t it be great, to be so organized that you could hang all the clothes for your family to be worn that day like this? It would be fun to plan out the day before and save tons of time during the morning craziness! This pegboard diy idea and photo comes from the Pysselbolaget blog . I love the playfulness and the color of this DIY. Perfect for a kids room or for a fun and whimsical space. Black pegboards make a great modern statement. 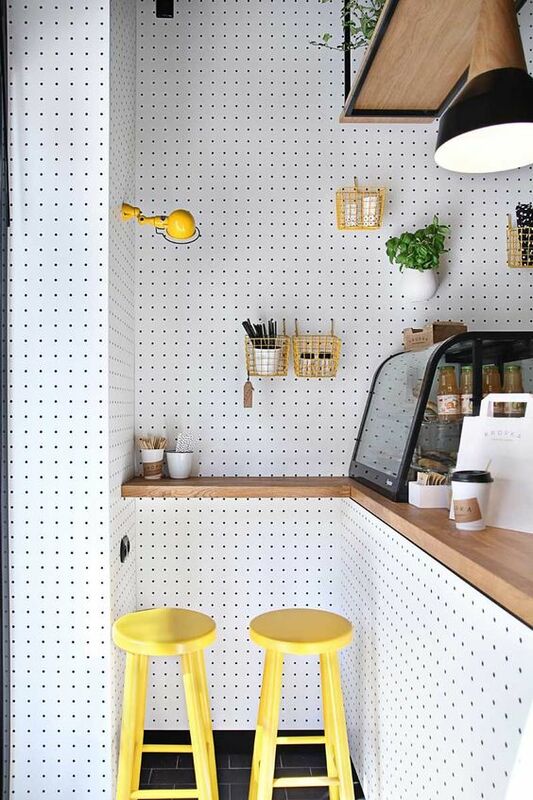 By making the pegboard floor to ceiling it really creates a big design impact in the space. Go big or go home! This is also a great example of all the things you can do with a pegeboard. Here we see it used for bike storage! Not only is it super functional and takes up minimal space – it looks good doing it!! 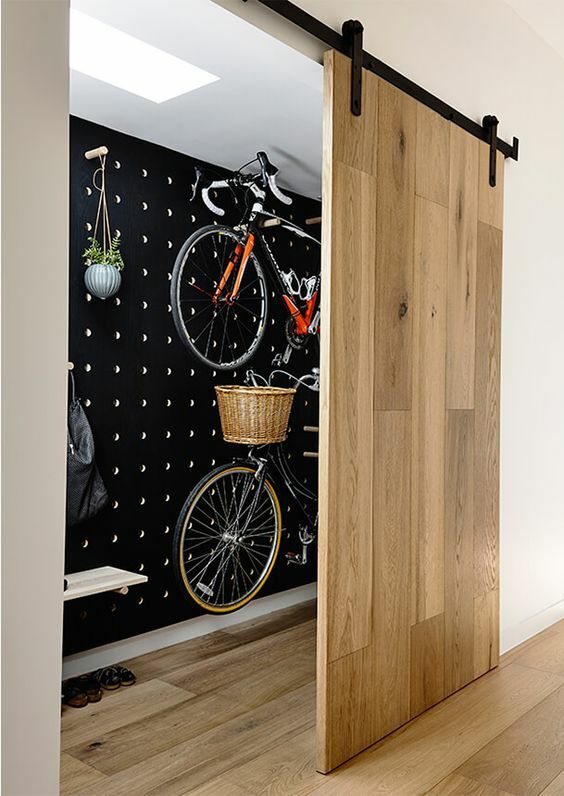 No need to hide those bikes, make them part of your design and highlight of the space. 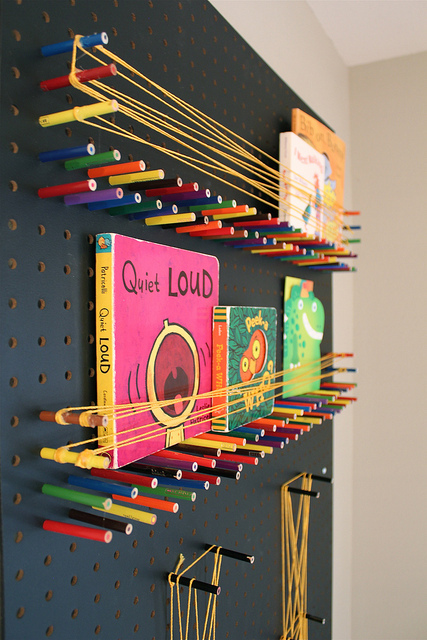 Pegboard bookshelf & interactive art! This pegboard book shelf & interactive artwork idea comes from http://karapaslaydesigns.com/colorful-and-customizable-diy-art/. 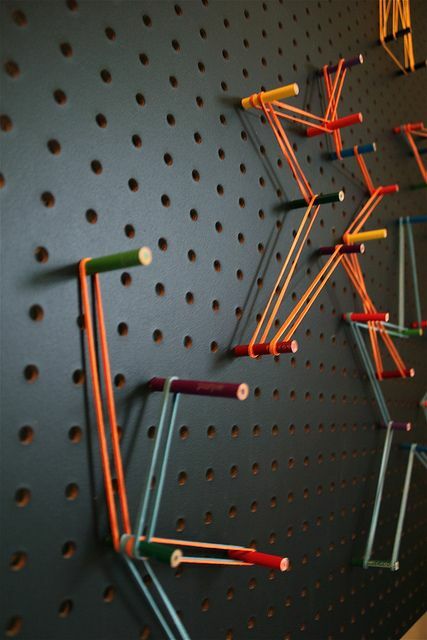 Using colored pencils and string, (and paint to make the pegboard black) – This pegboard would stand out in any kids room + be fun and interactive for you and your kids to get those creative juices flowing. The biggest advantage to pegboards is the ability to organize. 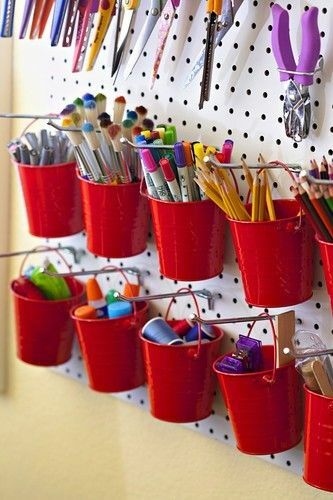 Here is a great example of how you could easily organize all your supplies exactly how you would like it. I don’t know about you but an organized image like this puts a big smile to my face! Let’s cover everything with white pegboards! 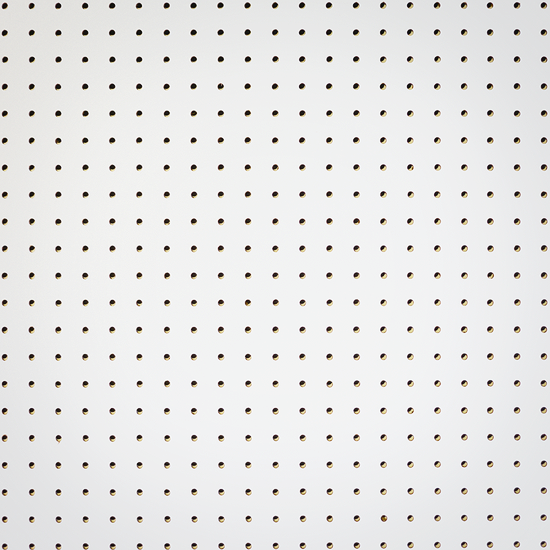 This image from http://www.yellowtrace.com.au/ makes me want to cover my whole home with pegboards. 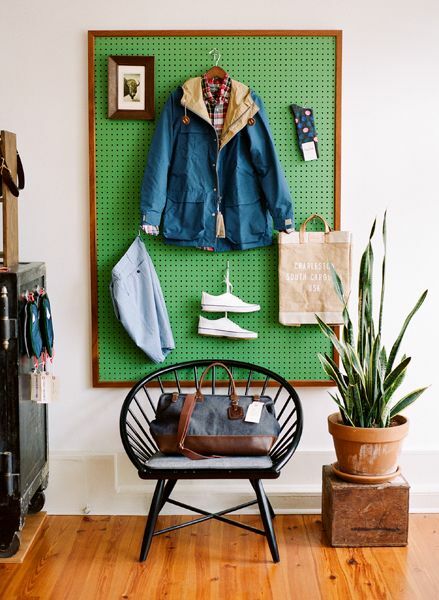 This is a great example of how you do not need to fill pegboard walls with “stuff”! You can keep it clean and add small things here and there for this great look. 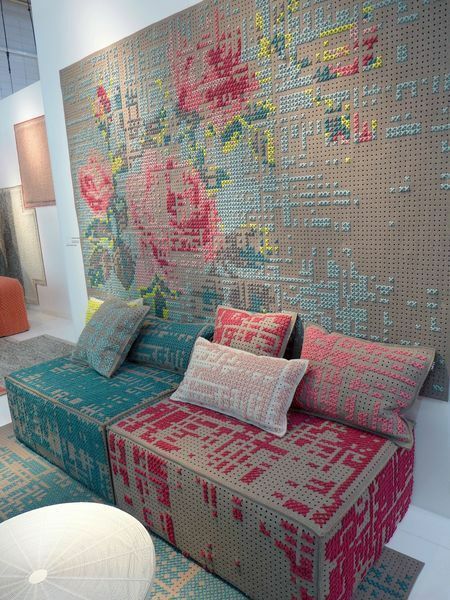 The holes by themselves create an amazing graphic pattern that is nice and clean but make a dramatic statement. Overall, we love it!! Create your own artwork with pegboards! Think outside of the box, the possibilities are endless! 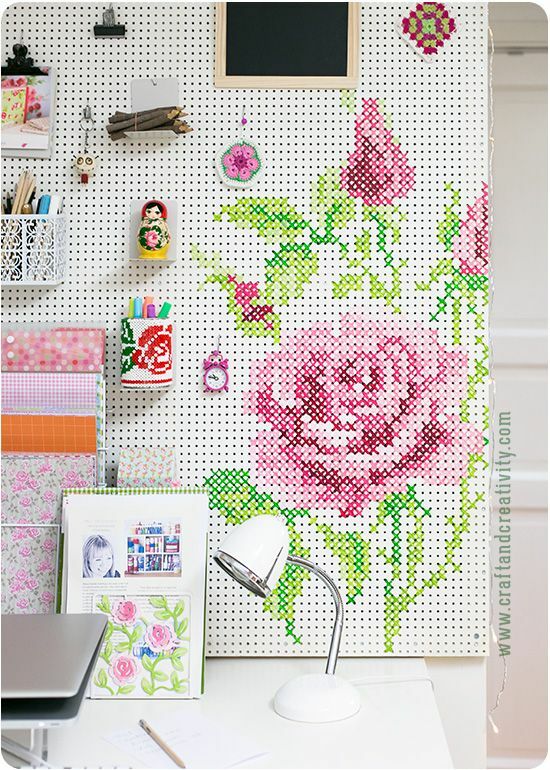 These are great examples of how you can use pegboards to create artwork that is unique and impressive. Put up your pegboards and bring your imagination. This is not only for your dad’s garage anymore. Create your own pegboard now!! There are a variety of pegboard options. If you want to custom paint it, I would suggest getting it raw. Please be sure to be aware of the hole size and spacing that you would like. Getting the standard hole size and distance will give you greater options for buying accessories! 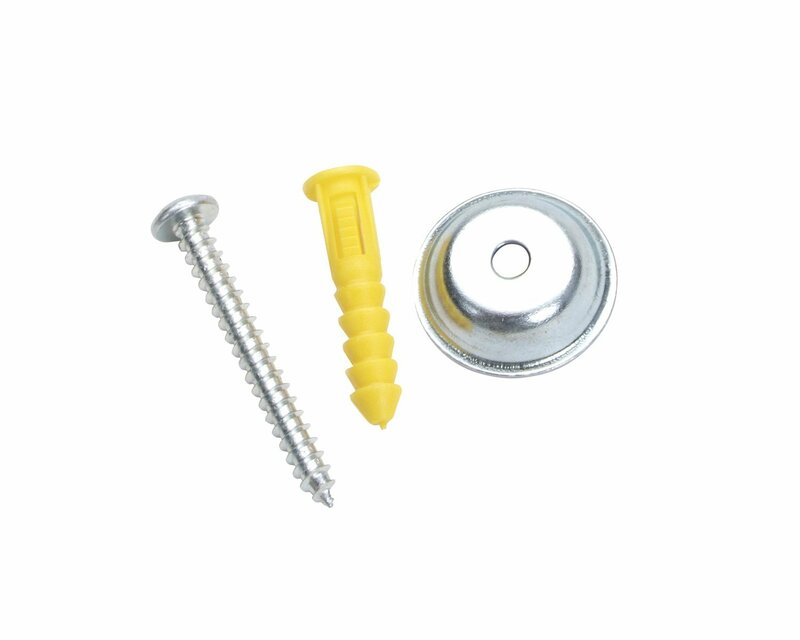 Using a mounting kit like this makes it easier to put up the pegboards because the washers will do the work to create the space needed between the wall and the board. You can find many accessories for pegboards aswell as DIY projects to even personalize your pegboards even further for your exact needs and look.